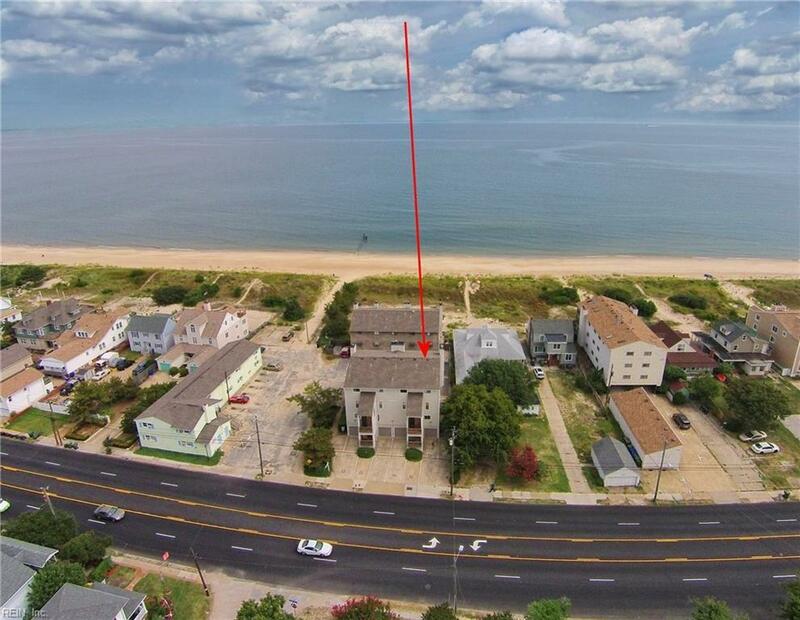 Want to live by the beach? 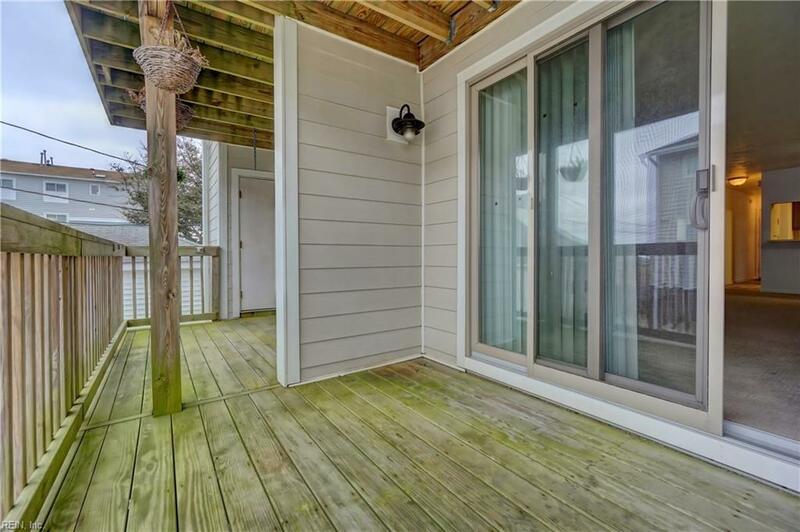 2 bdrm/2 bath condo w/view of the Chesapeake Bay from balconies. Open living room/dining room layout w/ new wood burning fireplace installed in 2015. 2 balconies - one in living room and 1 in master bedroom and solar lights. Sliding Anderson glass doors replaced in 2014. Most fixtures upgraded and carpet freshly cleaned. 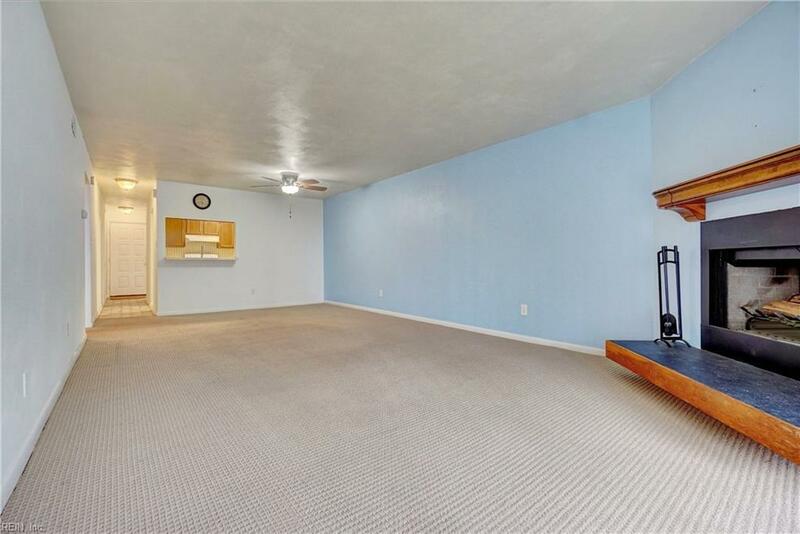 This condo is close to base and has 1 car garage + 3 assigned parking spaces. Beach access next to front building on the beach. 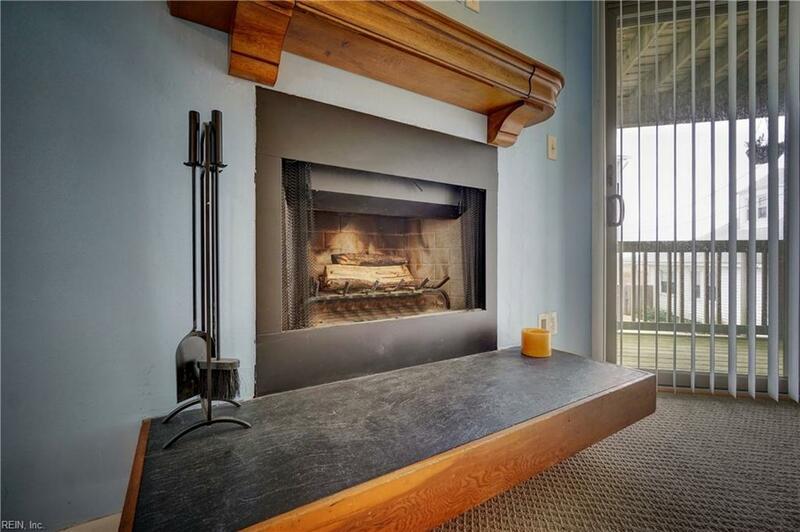 Well maintained condo complex and GREAT LOCATION. Pets allowed no restrictions. Call today for a private showing.